However, 15 are available from other sellers. Here's the place to start if you want to bring out those creative talents! 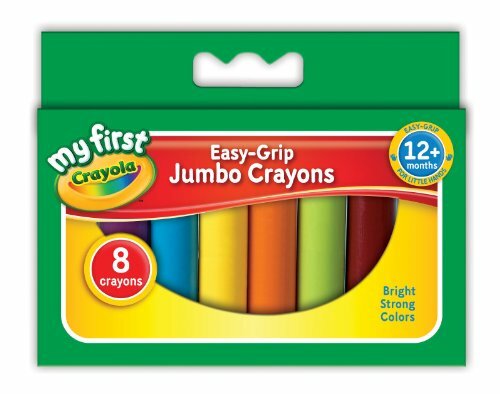 Suitable for ages 12 months +, the colours are gorgeous and the crayons are really thick and luscious. Jumbo might be a little misleading because they are not full length (approx 7cm long) as you will see from the picture, but they are just right for little hands - and probably yours too. A great little tub of 24 crayons is also available.